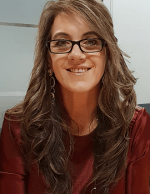 Marlene has worked in the financial services industry since 2005, where she commenced her career as a Paraplanner and gained knowledge in financial planning strategies. Marlene has been providing advice as an authorised representative since 2009 in the areas of equities, investments, retirement planning, superannuation and personal risk insurance. Marlene gained her experience working for large institutions and smaller boutique firms where she provided holistic wealth advice to individuals and families. Marlene has been an Associate Financial (AFP) member of the Financial Planning Association of Australia (FPA) since 2010 and has recently completed her Graduate Diploma in Financial Planning.